One of Battery Farnsworth's 8" gun mounts. 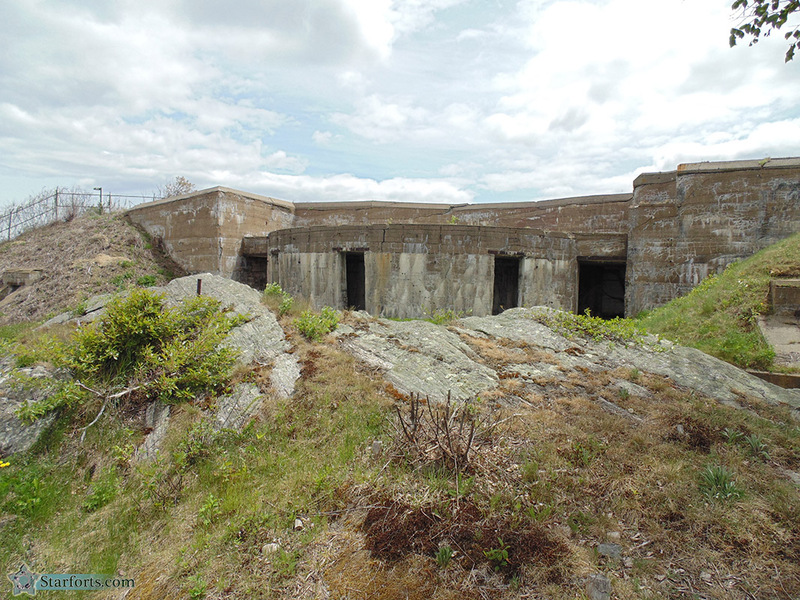 Mines were intended to be Portsmouth Harbor's main defense through the first decades of the 20th century, so the guns at Battery Farnsworth and nearby Battery Hackleman (built in 1904, mounting two 3" M1903 rifles) were considered supplementary. Who needs cannons when your enemy's ships will just be atomized from below?